Be rewarded for bringing a friend to the Haute Route! Make the most of our referral programme and be rewarded for bringing a friend along to the Haute Route! 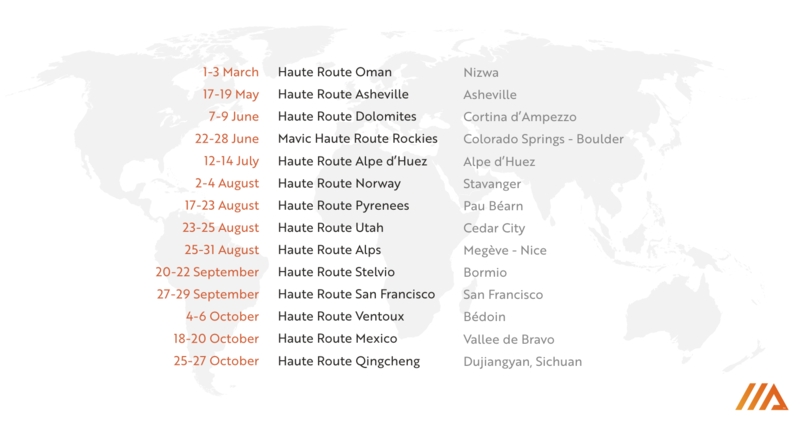 For every brand-new rider that you refer onto an Haute Route event you can earn €100 worth of gift vouchers to redeem against your Haute Route entry fee. 2. Your referee signs up to their event of choice and indicates your full name in the “About You/Haute Route Community” section of their registration form. 3. You contact the Haute Route team here to claim your voucher once your referee confirms their registration. 3. Help them choose an event from the calendar below.